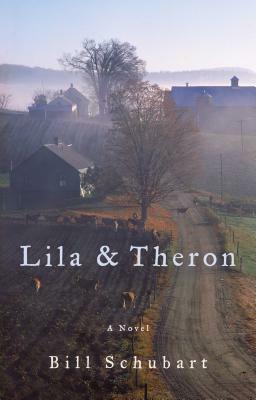 Set in rural America and spanning much of the 20th century, Lila & Theron captures the spirit of the American rural experience, as it relates to their personal stories of love and sacrifice. Award winning author and public radio commentator, Bill Schubart, first introduced us to Lila & Theron characters in his 2008 short story collection, The Lamoille Stories. After being influenced by William Faulkner’s acceptance speech on winning the Nobel Prize, he returns seven years later to finish their stories. Lila and Theron plumbs the depth and triumphs of the human spirit in a way now lost in today’s obsessions with consumerism and celebrity culture, immersing us in a receding world where neighbors and nature are the gifts and love is often comes with great hardship. Bill Schubart is an award-winning novelist and political and cultural commentator heard weekly on Vermont Public Radio (210,000 listeners) and a frequent public speaker on writing and entrepreneurship. Bill grew up in a small town in Lamoille County in Northern Vermont. In his largely French Canadian family, he heard countless stories. In a time all too rich with bombast and noise, Bill Schubart gives us a quiet tale of love, commitment, and utterly human interdependence—at once hard and graceful, plainspoken and eloquent. This is a romance that sidesteps shopworn clichés for sometimes painful truths and leaves the reader moved, thoughtful, and mourning the rarity of such honesty. I have long considered Bill Schubart to be the wisest columnist in America. That same wisdom, deep life experience, and empathy come shining through on every page of his new novel, Lila & Theron. Full of joy, sadness, humor, and insight, Lila & Theron is a clear-eyed celebration of our almost boundless capacity, despite all our human frailties, to love both one another and the place we call home. Over the years I have known many true and good country people like Lila and Theron whom I have been proud and honored to call my friends. This is a beautiful book. Through the eyes of Lila and Theron, Schubart manages to not only give us a great love story, but also an homage to an icy hardscrabble Vermont, and a portrait of an evolving rural America in the 20th century. This book is both heartbreaking, tender and as real as a winter day. I loved it.